So I made my own and I really like how it turned out. A couple of days ago, Gyroid’s lucky clothing item was “women’s bottoms.” So, I had him wear the red kilt that comes in the game and he looked pretty badass. If you notice, the dress designs flare out a bit more at the waist than the kilt design that came in the game, so they don’t look perfect, but I had a bunch of fun making these, so I thought I’d share them with you. If you would like to visit my town, my Dream Address is 4000-2185-7855. I made a cute little dress with a denim jacket and a purse. I liked it so much that I made it in EVERY color I could think of. 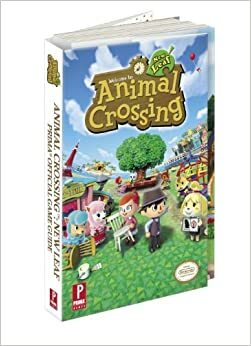 When I pre-ordered Animal Crossing New Leaf, I also ordered the Animal Crossing New Leaf game guide. The one for Wild World was really helpful, so I thought this one would help me as well and it has been invaluable. It’s great for keeping track of what I’ve previously purchased for the goal for a complete catalog, but most importantly, it helps me when I’m working part time at Brewster’s Cafe. Unfortunately, my guide doesn’t have the favorite coffee for the special visitors who come to town, like Phineas and Gracie. Over the last four months, I’ve been saving the data on them and I finally have it all. It took me a LONG time to gather all this info and then I looked on that website and found it in a second. I should have thought of using the Internet BEFORE I did all that work! I’ve been playing Animal Crossing New Leaf constantly for four months now. One of the additions to the game is you can customize furniture with custom images. You can also have your own rooms at the museum, so I wanted an Egyptian exhibit. It still needs a pyramid and a sphinx, but it’s coming along nicely. I’ve been playing Animal Crossing New Leaf constantly for four months now. As diverse and varied as the clothing selections are in the game, there aren’t any boring sweaters or cardigans. When I have a brightly colored skirt, I kind of want to tone it down with a simple sweater, so I worked for HOURS on these sweaters so I would have adorable options when I want to wear a cute skirt. You can see all the sweaters after the break. I realized that I didn’t make pink or blue sweaters and cardigans, so I rectified that problem. Additionally, I’ve added a gray fisherman’s sweater with a blue scarf. 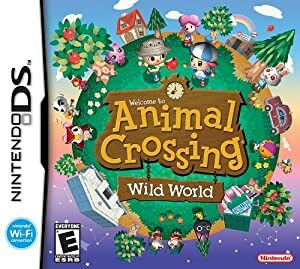 I played Animal Crossing Wild World A LOT and I thought that Nintendo wouldn’t be able to improve on it, but Animal Crossing New Leaf is the best of the old games and has even better new features. I’ve been playing for over four months now, and every day is still a joy. In addition to the fishing, bug catching and furniture collecting there are a myriad of new activities. The first difference is the fact that you are now the mayor of your town. With this added responsibility, you get to do Public Works Projects and Set Town Ordinances. The town tree shows your town’s progress. I’ve been playing Animal Crossing New Leaf constantly for four months now. I always get a HUGE amount of enjoyment and play time from an Animal Crossing game, but this one has been particularly joyful for me. I’ll talk about that in the days to come, but for now, I have a fun item for you: QR Codes for Wil Wheaton’s Clown Sweater. A fan of Wil’s (from Stand By Me, Star Trek Next Generation, Eureka and Big Bang Theory) asked him to wear this sweater and he was gracious enough to do it, despite its ghastly appearance. It has come to represent Wil Wheaton on many levels and I wanted one to exist in the Animal Crossing universe, so I created it. I love this little video from Player One[s]. After saving the world, the council questions the hero about how many side quests he completed. It highlights EXACTLY what I hate about some games. Look guys, I saved the world! What else is there for me to do? This is just busy work that you guys have me doing! YES, YES, YES! That is exactly how I feel with some games. Then, with other games, I can go on side quest after side quest and just LOVE it. I don’t know what the difference is between the two, but there are definitely some times when I feel like my enjoyable game is just busy work. Over the years, I haven’t been shy about my love for Animal Crossing: Wild World. With great quips like, “Give a man a fish, and he’ll eat for a day. Give a fish a man, and he’ll eat for weeks!” it’s easy to understand why I love it so much. Nintendo announced that Animal Crossing: New Leaf will arrive June 9th this year! I bought my Nintendo 3DS TWO years ago just for this game and I have been waiting forever for it! They just released a trailer for the game. It came out in Japan back in November, so there are tons of videos showing how the game plays with kind people translating for us. For example, LinandKo have been doing tons of videos and just did one for Valentine’s Day this year, telling us what you can receive from the villagers in honor of the holiday. I feel strangely excited that Animal Crossing: New Leaf is almost here. 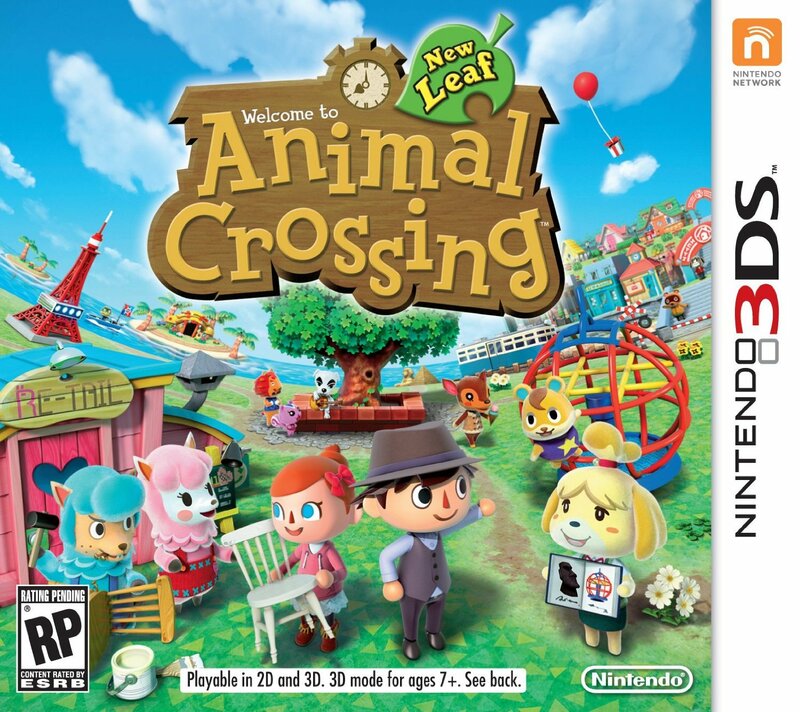 I haven’t had a game I have loved as much as Animal Crossing: Wild World, so I have high hopes for New Leaf.